Most important to the dance orchestra, of course, is the man who fashions the arrangements. He can make a good band sound very poor, and sometimes, a punk band sound rather elegant. Which brings up the name of Glenn Miller, who will enter the Century Room at the Adolphus with his musical corps on Friday, Aug. 27. A big part of his life has been spent in the arranging business and the trombone-playing business. He started following both pursuits under the leadership of good old-timer Ben Pollack in 1927. His arrangement of “I’m Glad” for Pollack is famous. And here are some of the other musicians who have kept him busy arranging their music ever since: Red Nichols, Victor Young, Paul Whiteman, Smith Ballew, the Dorsey Brothers and Ray Noble. He spent some time as a free-lance arranger, plotted the music for the dance routines in “Girl Crazy” and “Strike Up the Band,” Broadway hits of yesteryear. His own organization is still fairly new. 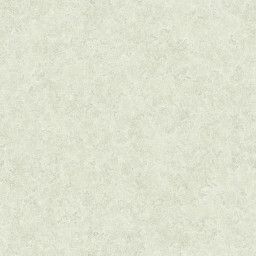 Not so long ago he made his first recording under his own name, “Moonlight Bay.” It’s fast, unique and very jazzy, has already sold 30,000 discs. Maestro Miller comes her from the Roosevelt in New Orleans. 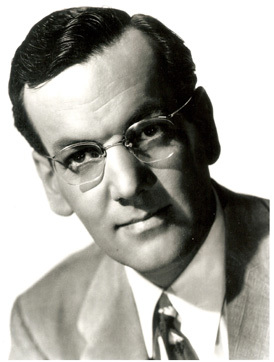 Glenn Miller, 1940’s fair-haired boy of the orchestra world, is reaping the reward of fifteen years of study and work as a musician and arranger – the reward of a music style that has won millions of fans in the last year. Bandsmen from coast-to-coast have known of Glenn’s extraordinary talent for more than a decade and they had long predicted that he would climb to the top rank of America’s music makers. Today a triple-threat star, he heads a three-times-a-week series of programs with the Andrews Sisters over the Columbia network. In addition, he is drawing capacity crowds to the Pennsylvania Hotel in New York, and is considered tops as a recording band leader. Miller’s rapid rise to fame was not a lucky break, but the result of a three-year plan. While working as trombone player and arranger for such famous leaders as Tommy Dorsey, Benny Goodman and Ray Noble, Glenn kept a mental file of ideas for a band of his own and unusual orchestrations. In his mind’s eye he built an orchestra – molding, fashioning, experimenting, until he hit upon a perfect combination – then he gathered fourteen men and started on his climb to fame. Shortly after his orchestra’s debut at the Roseland-State ballroom in Boston, Glenn had been signed to a recording contract, had broken attendance records at the Meadowbrook in New Jersey and the Glen Island Casino near New York City, and was acknowledged favorite of collegians throughout the country. Miller’s rise to national popularity was not surprising to those who had worked with him, for he had played the trombone and studied music for more than fifteen years. Born in Clarinda, Iowa, March 1, 1911, he was reared on a dust bowl farm. His father then moved the family to a Nebraska farm forty miles from the nearest railroad. Glenn attended school in North Platte, Neb., and Grant City, Mo. It was at Grant City, incidentally, that his mother bought him his first trombone at 14. It wasn’t a very good trombone, Glenn recalls, but it made him a member of the school band. His second trombone – one he earned by milking cows at $2 a week – was bought while attending the Fort Morgan (Colo.) High School, where the family moved when he was in his teens. Playing the trombone didn’t occupy all of Glenn’s time, however. He worked at odd jobs in a cigar factory and as a soda jerker, and played football. In fact, Glenn was voted the best high school left end in Colorado. Between high school and college, Miller made his professional debut with Boyd Senter’s Orchestra in Denver, Colo. He remained with this band for a year, and then enrolled at the University of Colorado. Two years later Glenn decided to leave college and follow a musical career. He left for California, joined Ben Pollack’s Orchestra there and remained with the famous bandsman for four years. During this time he developed into an expert arranger. Later he worked with Paul Ash at the Paramount Theater in New York, and in the band of Red Nichols playing for the musical successes, Strike Up the Band and Girl Crazy. Sitting alongside Glenn in the Nichols orchestra were Benny Goodman, Jimmy Dorsey and Gene Krupa. A period of free lance work followed with engagements in the radio bands of Jacques Renard, Vic Young, Freddie Rich and the Dorsey brothers. It was while working with Ray Noble that Miller decided to strike out for himself. He gathered together several key men – including Saxophonists Tex Beneke, Hal McIntire and Jimmy Abato, with Pianist Chummy McGregor, who are members of his present band – and Glenn’s orchestra was on its way to becoming in record breaking time the band of the year. Glenn has written the songs, Moonlight Serenade, Doin’ the jive and Annie’s Cousin Fanny. Married to Helen Dorothy Burger, a coed at University of Colorado, in 1931. Plays softball and tennis. Owns a Boston terrier he calls Popps Shanty Haggerty. If he has the time he would like to spend a vacation in the Colorado mountains with a horse, gun and fishing rod. Prefers plain American cooking. Is six feet tall, weighs 175 pounds, has dark brown hair and brown eyes. Paris, Dec. 24 – Major Glenn Miller, director of the U.S. Air Force band and a former orchestra leader, is missing on a flight from England to Paris, it was announced Sunday. Miller, one of the outstanding orchestra leader leaders of the United States, left England Dec. 15 as a passenger aboard a plane. No trace of the plane has been found since. Miller’s home is at Tenafly, N.J., where his wife lives. Miller last led his band in a broadcast Dec. 12. His band, scheduled to broadcast over BBC Monday at 7 p.m., (1 p.m., Dallas time) in the AEF Christmas Show, will be conducted by Sgt. Jerry Gray, deputy leader. Miller, 39, was commissioned a captain in the Army specialist corps Sept. 10, 1942, and was promoted to his majority about six months ago. A native of Clarinda, Iowa, he first gained prominence in the popular music field as a trombonist with various orchestras and then as an arranger for many of the top-flight bands. He organized his own orchestra in 1933. He married the former Helen Burger, a nonprofessional, in 1928. The couple have two adopted children, Steve, 2, and Johnnie Dee, a girl, four months old. 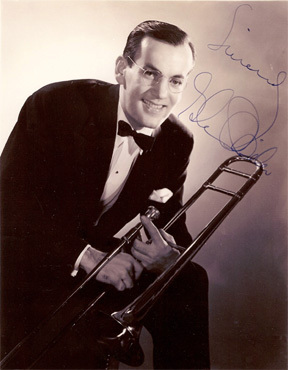 Glenn Miller played in Dallas at the Hotel Adolphus Century Room about 1936 but not with marked success. It was shortly after this that he hit the big time and became one of the top swing bands of the country. Maj. Glenn Miller Awarded Bronze Star New York, March 24 (AP) – Maj. Alton Glenn Miller, former band leader who was reported missing in action after an airplane flight in Europe last December, has been awarded the bronze star medal for meritorious service. The award was presented to his wife, Mrs. Helen Miller of Tenafly, N.J., by Col. F.R. Kerr, acting director of the army special services division.